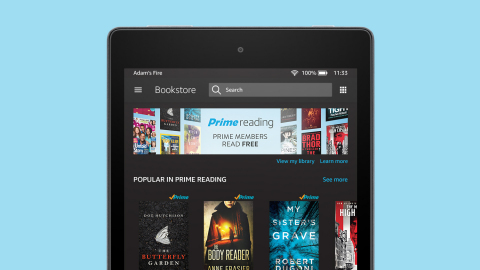 SEATTLE--(BUSINESS WIRE)--(NASDAQ: AMZN) – Amazon today introduced Prime Reading, a new reading benefit for U.S. Prime members. Prime members can now enjoy unlimited reading from a rotating selection of books, magazines, comics and more – at no additional cost. Prime Reading joins the growing list of all-you-can-eat benefits for Prime members including unlimited fast, free Prime shipping, unlimited access to Prime Video, Prime Music, Prime Photos, Audible Channels, early access to Lightning Deals and more. Members can start reading now by downloading the Kindle app for iOS and Android or using any Kindle or Fire tablet. To learn more about Prime Reading or start a 30-day free trial of Prime, please visit amazon.com/primereading.